Panels for wooden structures made by company EASY WOOD SYSTEM have wide scale of usage. *We supply them for buildings of residential houses, office blocks, lodging houses, family houses, row houses, lodges or garages. 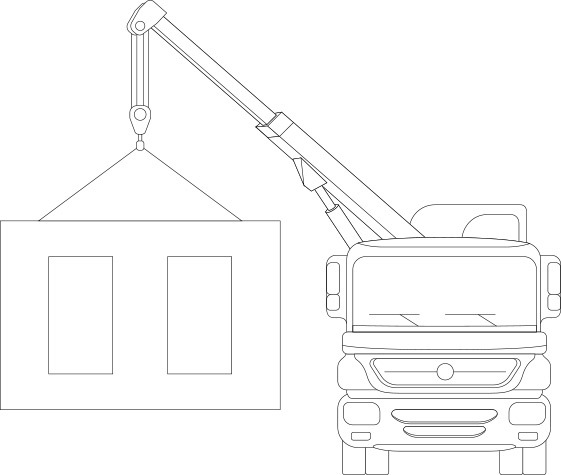 *Panels are made-to-measure on the base of documentation of production: wall, partition, bearing wall or joist. Up to now houses from our panels have been built in the energetic label „B“, but due to the possibility of usage of recuperation we are also able to build houses in the energetic label „A“, which allows the most effective saving of cost of housing. 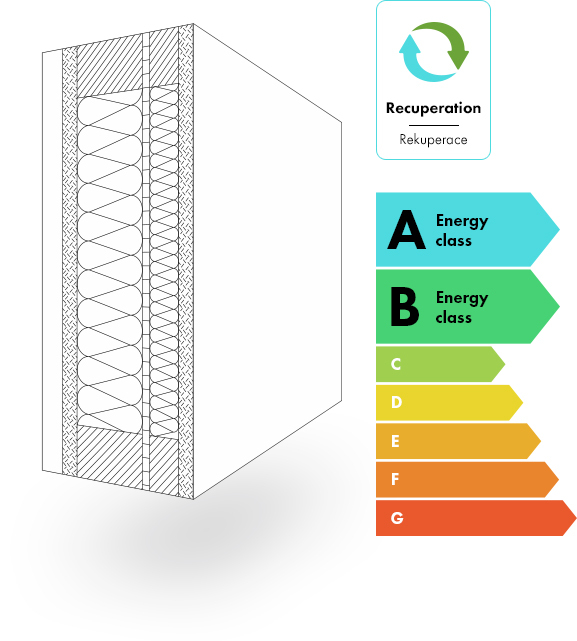 Thanks to usage of modern materials, heating and recuperation, the buildings from EASY WOOD SYSTEM panels are able to show energetic label "A" and energetic label "B" when recuperation is not used. In this case cost of housing are much lower than in the buildings of stone. 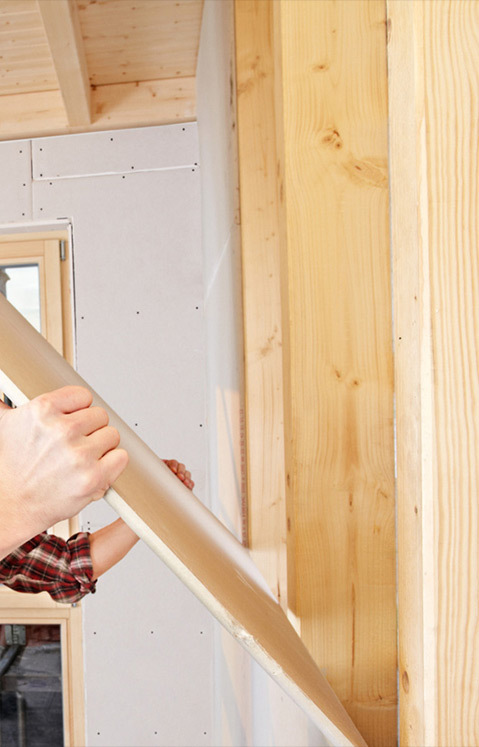 Building of houses from EASY WOOD SYSTEM panels is not time-consuming. And proof it? Buildings already realized - eg. family house with finished fundamental panel - there we can build rough construction till 3 days, up to 7 days there is a building including roof, isolation and facade and till 21 days the building is completely made and it can be handed over to client. It is very important to use services of EASY WOOD SYSTEMS - LOGISTICS and TIME SCHEDULE. 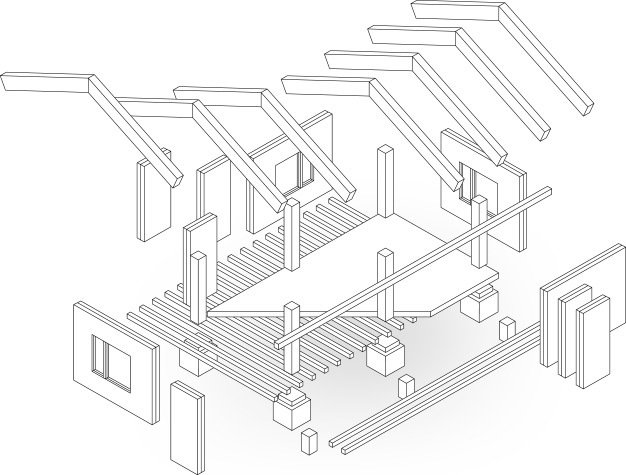 In view of the fact that exact listing of material (list of individual pieces on the base of created manufacturing and assembling documentation of building) is delivered to every building realized by company EASY WOOD SYSTEM, it is no possible that the building could be more expensive than it was originally planned. List of individual pieces contains all used material for building and its completion. It is composed from certified battens of the high quality, it is filled-in by mineral wool and from both sides it´s closed by Fermacell gypsum fibreboard. Are you interested in our panels?